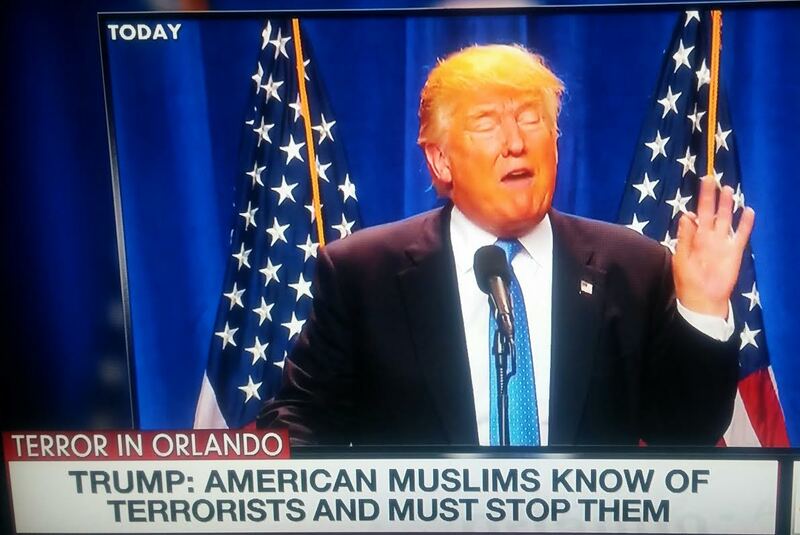 NEW YORK — Miss USA pageant sponsor and reality television star Donald Trump held a “press conference” today to discuss the mass shooting in Orlando. Television viewers were initially confused why anyone in the country would look to Trump for advice on how to handle suspected terrorism given his personality disorder, lack of any knowledge in foreign affairs, and previous experience bankrupting casinos. Most people quickly suspected they were watching an episode of Saturday Night Live airing in a new time slot. “He’s a good actor! I liked him in Home Alone 2,” a viewer stated. When people learned that Trump’s press conference was not an SNL skit and that he is in fact a candidate for President of the United States, all of the viewers stopped laughing. Republican Speaker of the House Paul Ryan disavowed all of Trump’s statements during the press conference but reiterated he supports his candidacy.